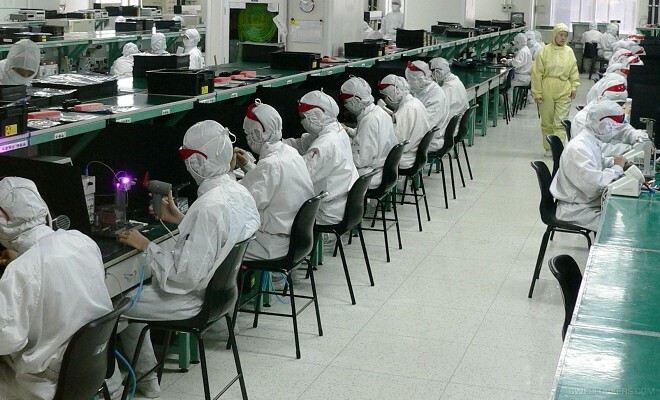 Reports out of China indicate that Apple is heading towards automation of the iPhone battery production, resulting in one less labor-intensive iPhone assembly process. The move will make it easier for the company to potentially move the production of the iPhone elsewhere, as it will not rely as heavily on specialized manual assembly. This follows moves by the company to automate production of its Mac Pro an iMac personal computers, where manpower is not required other than for material supply and final assembly. Even though increased automation allows for greater global mobility, it’s likely that the tech giant will continue to do most of its production in China. Despite rising minimum wages, high turnover rates, and increasing willingness of younger laborers to work in the manufacturing industry, China continues to be one of the cheapest manufacturing sites. The country still has a relatively low degree of labor strikes and limited infrastructure compared to other Southeast Asian countries, and many of Apple’s component supply partners are located there. It’s unlikely that the company will move production in the near future, although it is one less load off of the shoulders of factory workers.